You won't find a better price or more dedicated team of tree care professionals in Roanoke, Virginia. Whether the job is as simple as a cat rescue or as difficult as a full tree removal, our skilled, passionate team of professionals will get the job done quickly and affordably. Check out what we have to offer and contact us today. and remove problem trees quickly and affordably. Call us at (540) 520-8087. 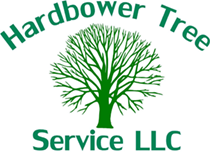 Hardbower Tree Service LLC is a professional tree care company serving the Roanoke, Bedford, Franklin and Smith Mountain Lake areas of Virginia. Our skilled team offers safe, effective tree removal, pruning, stump grinding, storm damage cleanup, firewood, and much more! We will provide several references for you to contact. We are fully licensed and insured in the state of Virginia, and we carry full workers compensation insurance. Whether you are looking to have a few branches pruned or several large trees removed, we are the company to contact to provide the utmost professional and prompt service for all your tree care needs. Call us for your free, no-obligation estimate today at (540) 520-8087. Our mission is to provide Roanoke and the surrounding areas with the most up-to-date and proper tree care techniques. We will give you an honest evaluation of the work that needs to be performed and will never recommend work that is not necessary. Trees are our passion and we will do everything in our power to further the health of your trees and your property!